The Salem Desk Globe's beautiful base is made from natural and walnut wood tone rings. The antique brass semi-meridian complements the white oceans and traditional color scheme. Raised relief provides a realistic perspective. 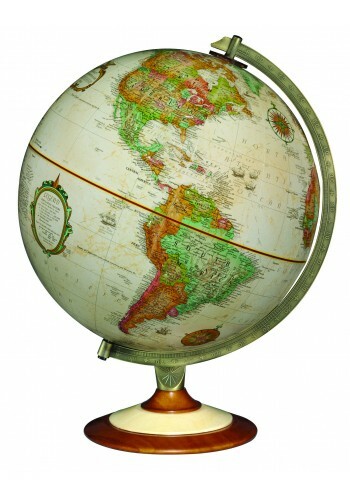 Replogle's Salem Desk Globe is backed by a one-year warranty.